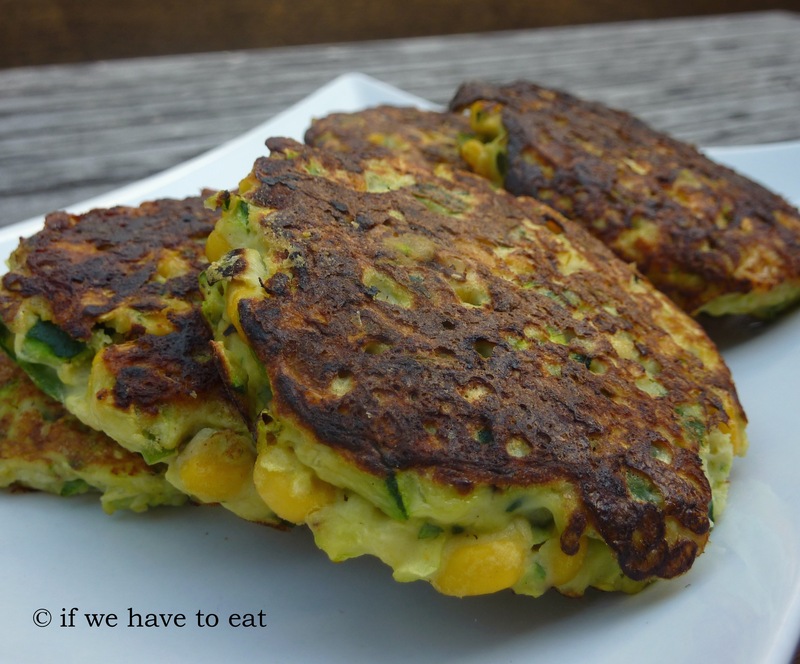 I usually can’t go past zucchini and corn fritters when I see it on a menu, but they’re a pain to make at home because most recipes require you to squeeze all of the water out of the zucchini or you have to add lots of flour to make the batter thick enough to hold the fritters together. 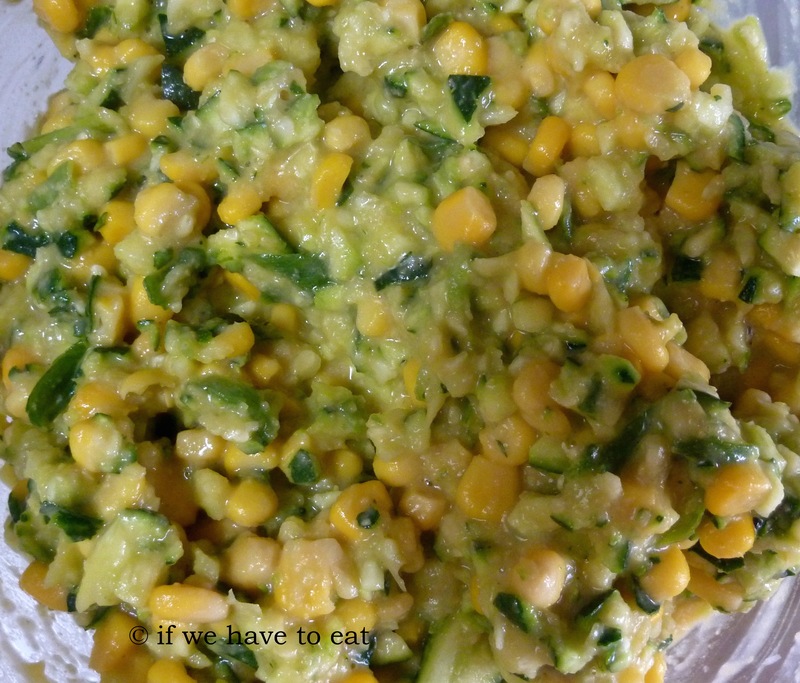 To deal with both of these problems, I came up with this recipe that creates a paste out of chickpeas and eggs and uses the natural liquid of the zucchini to create the batter. The result is a light and fluffy fritter. This entry was posted on October 26, 2014 by ifwehavetoeat in Breakfast, Mains and tagged Breakfast, Fry, Mains, Make Ahead, Recipe, Thermomix, Vegetables.